286 pages | 37 B/W Illus. This book emphasizes how we already have the technologies available, including renewable energy and the ability to recycle most materials, to make ecological living possible and that perceived barriers to energy transitions can be overcome. Human life relies upon two systems: the biosphere and the system that produces our goods and services. Today, these two systems are in conflict, and we all face the question of whether we can stop damaging our environment while still supplying the essential goods and services we have come to depend on. Ecological Living presents an optimistic vision of our future by showing how decoupling the productive system from resource extraction is possible, and how this is a key means of achieving an equitable world within environmental limits. For long-term sustainability, the book argues that we must become more efficient in the use of our resources so that resource extraction, and the accompanying environmental costs, can be reduced. 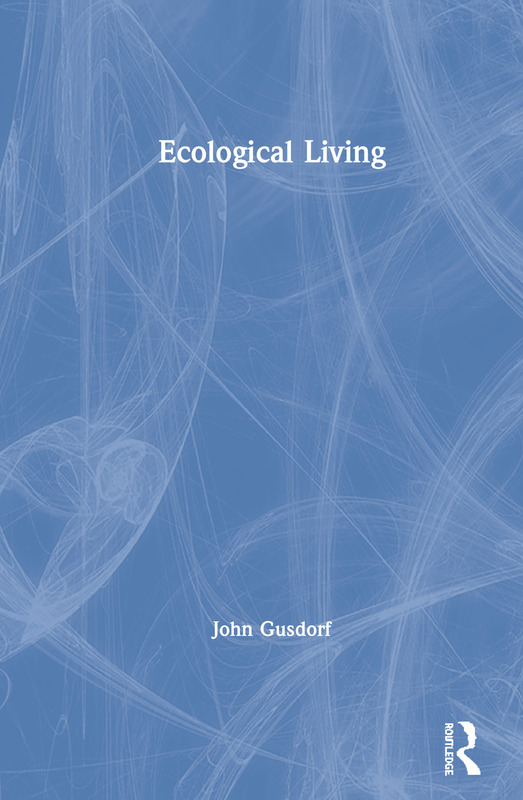 Demonstrating the essential steps towards a just and sustainable world, Ecological Living will be of great interest to all students, academics, and policymakers working in the field of environment and sustainability. 9. What if we Fail to Achieve Ecological Living? 10. What would Ecological Living be like? John Gusdorf is an independent consultant and was a research specialist at Natural Resources Canada. He previously was a lecturer at the University of Veracruz in Xalapa and a founding member of Renewable Taos.